FSGLI is a program that provides group term life insurance coverage to the spouses and dependent children of Servicemembers insured under SGLI. The Servicemember pays the premium for spousal coverage. Dependent children are insured at no cost. Family coverage is available only to members insured full-time under the SGLI program. It is not available to those insured under part-time SGLI coverage or the VGLI program. If you are covered under full-time SGLI, you are eligible to insure your spouse, regardless of whether your spouse is on active duty, retired, or is a civilian. FSGLI provides up to a maximum of $100,000 of insurance coverage for spouses, not to exceed the Servicemembers’ SGLI coverage amount, and $10,000 for dependent children. If you are insured under full-time SGLI, spouse coverage may or may not be automatic. Please review the table below to determine if your spouse is covered. not a member of the uniformed services your spouse is automatically covered for the maximum spouse coverage unless you reduce or cancel this coverage. a member of the uniformed services you married on or after January 2, 2013 you and your spouse are not automatically covered under spouse coverage. You and/or your spouse must apply if you want spouse coverage (see how to apply). You no longer need to use the SGLV 8286A to apply for spouse coverage! You can now apply for and manage your spouse coverage under Servicemembers’ Group Life Insurance (SGLI) coverage using the SGLI Online Enrollment System (SOES). SOES allows Servicemembers with full-time SGLI coverage to make fast and easy changes to their life insurance coverage and beneficiary information at any time without completing a paper form or making a trip to their personnel office. To access SOES, sign into the MilConnect portal at www.dmdc.osd.mil/milconnect and go to the Benefits Tab, Life Insurance SOES- SGLI Online Enrollment System. You must complete and submit the SGLI Form SGLV 8286A, Family Coverage Election, Servicemembers' Group Life Insurance to change your FSGLI spousal coverage elections. You should contact your Personnel Office for any changes to Basic SGLI or Family SGLI coverage. You can now manage your spousal coverage under Servicemembers’ Group Life Insurance (SGLI) coverage using the SGLI Online Enrollment System (SOES). SOES allows Servicemembers with full-time SGLI coverage to make fast and easy changes to their life insurance coverage and beneficiary information at any time without completing a paper form or making a trip to their personnel office. To access SOES, sign into the MilConnect portal at www.dmdc.osd.mil/milconnect and go to the Benefits Tab, Life Insurance SOES- SGLI Online Enrollment System. 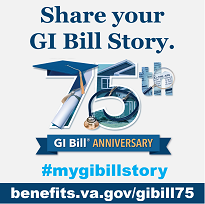 You must complete and submit the SGLI FormSGLV 8286A, Family Coverage Election, Servicemembers' Group Life Insurance to change your FSGLI spousal coverage elections. You should contact your Personnel Office for any changes to Basic SGLI or Family SGLI coverage. FSGLI coverage is available in increments of $10,000. You pay a premium for your spouse’s coverage, which increases as your spouse ages. Coverage for your child is provided at no cost until the child is 18, unless the child is a full-time student or becomes permanently and totally disabled and incapable of self-support prior to age 18. FSGLI premiums are automatically deducted from your pay. If your spouse is insured, you are responsible for premiums. If your spouse is registered in DEERS, premiums will be automatically deducted from your pay. If you have not registered your spouse, you are still responsible for premiums and when he/she is registered, you will incur a debt for back premiums.